You are here: Home / Latest Articles / Guardians / Heritage / The Ancient White Horse Stone Under Attack Again!!
. The White Horse Stone is a listed ancient monument of both historical and cultural importance.
. The White Horse Stone is held in great reverence as a site of significant spiritual importance by Odinist’s and other Pagan traditions. The siting of a mobile phone mast in such close proximity would have a very negative affect on this holy site.
. Archaeological evidence has clearly proved that this whole area is a site of high status and of significant historical importance to the county of Kent and England.
. The siting of mobile phone equipment just 5m from the Boxley Warren Nature reserve, an AONB and SSSI area would have a detrimental effect on this area by visually scarring the approach to the Nature reserve, an AONB and SSSI site.
. Siting of mobile phone equipment within close proximity of an AONB, SSSI, North Downs Way and Nature reserve would present an impression that these designations have no importance or integrity and can be ignored.
. If this application is approved it will open the door to other mobile phone network operators to also develop this area.
. The siting of mobile phone equipment on this site will have a detrimental effect on the enjoyment of the many thousands of visitors that come to this area for leisure, walking, cycling, horse riding etc.
. The siting of 3G mobile equipment will have a detrimental effect on the wildlife in this area. There is concern that 3G’s more powerful signal strength could cause long term health problems.
. Lastly please ensure your objections are clear, polite and to the point. Please ask your family to send a letter as well. Letters from children always carry an impact so if you have children please encourage them to send letters also. 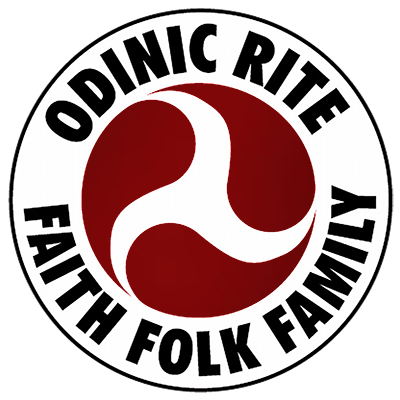 https://i1.wp.com/odinic-rite.org/main/wp-content/uploads/WHS.jpg?fit=1079%2C607&ssl=1 607 1079 Hengest http://odinic-rite.org/main/wp-content/uploads/2016/05/or-badge400-transp.png Hengest2006-05-20 23:35:552019-02-18 22:35:57The Ancient White Horse Stone Under Attack Again! !